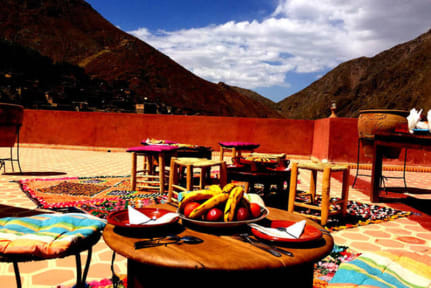 Gite Tizi Mizik is traditionally decorated and located in Imlil, close to the highest peak in the Atlas Mountains. The guest house has a garden and a Moroccan lounge. And a Terrace with panoramic view, on the mountains. Guests can enjoy local cuisine prepared by guests on request. Free Wi-Fi access is available at this property. Tours can be organized upon request. Gite Tizi Mizik is located in Imlil. Imlil is a village in the High Atlas Mountains of Morocco, perfect location for trekking holidays. This guest house is situated 16 km from Toubkal peak, the highest peak in the Atlas Mountains. 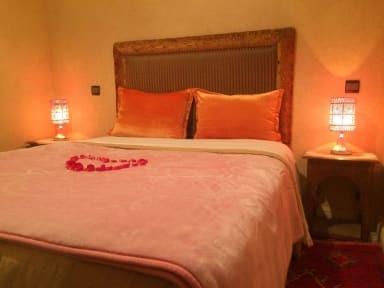 Gite Tizi Mizik offers comfortable and spacious private rooms. All rooms features a private bathroom and panoramic views over the mountains. Breakfast not included. Extra-cost: 3 euros per person per day.